Special Custom Made Musician Equipment - 10% DISCOUNT for 3 or more band members from the same group! Whether you’re into Mozart or Metallica, if you ruin your hearing the music’s over. Don’t think that if you avoid the sheer volume of rock or brass bands that you’re in the clear. Even a piccolo can generate sound levels roughly equivalent to a jackhammer at 30 feet! And even though volume is a major factor, it is the total time of exposure combined with the loudness of the music that eventually leads to hearing loss. Your body gives you warning signs such as ringing in your ears or muffled voices, but many of us don't act on these signs until it's too late. 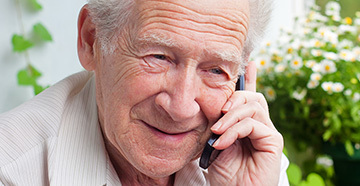 By the time you notice there’s a problem, hearing loss has already occurred. Besides turning down the volume, the most common way to protect your hearing is to use passive hearing protection (an earplug). But before you purchase some kind of foam or other generic goop to put in your ears, realize that with most standard earplugs, a major portion of the high frequency signal of your music will be lost. This makes the music sound muddy, and is one of the reasons many musicians reject hearing protection. While that may be great if you live in the bottom, most of us like to hear a little sizzle on top. 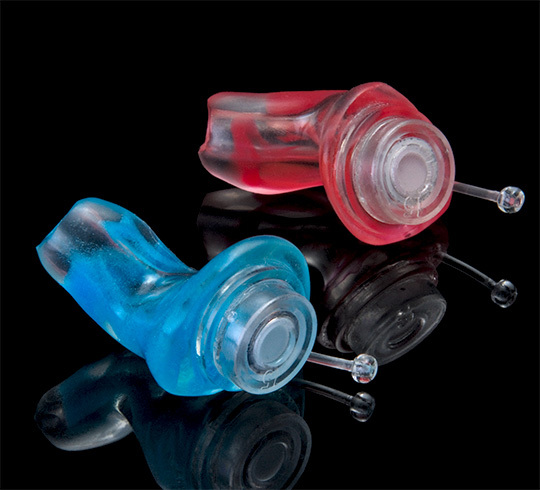 There are custom made musicians earplugs that are designed with special filters specifically to reduce the volume, but not alter the frequency response of your music. You get to hear your music with all its subtleties and nuances, but at a lower volume. 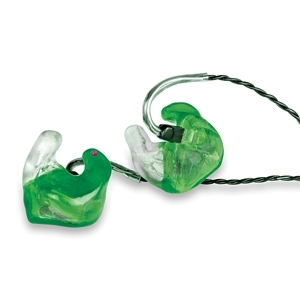 In-ear musicians monitors can make a tremendous difference in the way your band sounds, as well. 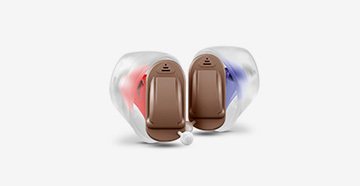 The custom-fitted earpiece is essential to the sound quality of an in-ear musicians monitoring system. You’ll hear yourself more clearly on stage. You’ll be able to listen at the volume you choose and, depending on your set-up, you can have your own monitor mix. In-ear musicians monitors are quicker and easier to set up than heavy power amps and wedges and you won’t have to lug that heavy equipment. Perhaps, best of all, because you’ve eliminated the stage noise and can keep your mix down to a reasonable volume level, you’ll protect your hearing for years to come. Trust your ears to a hearing specialist. 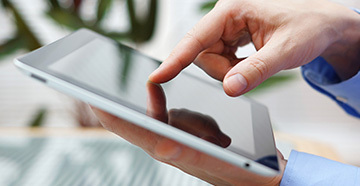 See an Audiologist to get a baseline hearing test that lets you see where you are. You can get good advice on strategies that will allow you to be in control of your total noise exposure. And you can discuss the best hearing protection for your specific needs. When it comes to your hearing, why trust your ears to anyone except a specialist? If you love music, your hearing is your most precious resource. The fact is, the better you hear, the better you play – end of story. The resources and tools are out there; it just takes a commitment to protect your hearing. Special Thanks to Karl Cartwright and Westone Laboratories, Inc. for reference materials. Westone has been at the forefront of in-ear musicians' monitoring technology since the early 1990's. Each one of our professional in-ear musicians' monitors is designed with one goal in mind; to help you hear accurately so you can perform at your peak - night after night, show after show. The true test of our monitor superiority is their acceptance by artists and their crews, and Westone has created custom monitors for acts ranging from Toby Keith and Lee Ann Womack to Nine Inch Nails and Flyleaf.